As we look outside anywhere here in San Luis Obispo, you’ll see the amazing green hills, the full reservoirs, and the blooming flowers. It’s an amazing time to live here. 1. We’ve improved the service our team provides. A year ago, our team made the decision to upgrade our service to our customers. To do that, we brought on three great agents: Melody Avant, Graeme Baldwin, and Devin Hahn. Between these three, we’ve added forty years of experience to the team. They’re also team players: If one of them is busy and needs help with a transaction, the others can jump in and ensure that the client’s needs are met. They also put our customers’ best interests first, and this commitment is evident every day of the week when they deal with clients—those clients’ reviews speak for themselves. 2. Interest rates are excellent. Year over year, interest rates are down by 1%. That means if you’re a buyer, you’ll be able to afford more house, or the same house with a lower monthly payment. As such, sellers will have an easier time selling their houses and will be able to get a better price than if the rates were higher. If you own your own house but don’t have plans to sell, you can still benefit from the market by refinancing—you can get a lower rate and save money on your monthly payment. 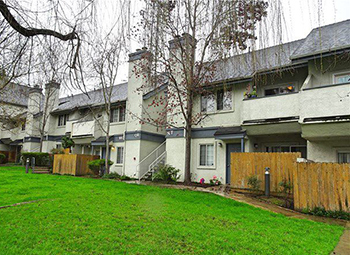 All in all, it’s a win-win scenario for everyone (except, maybe, for renters). 3. Is the market okay? We currently have the same number of homes available now as we did in the last quarter of 2018. The number of sales and pendings are slightly under where they were last year. If the fourth quarter of 2018 was amazing, the first quarter of 2019 has been pretty darn good, too. Moving forward, we’re noticing more homes going under contract and leaving the market because buyers are snatching them up. Concurrent with that, we’re also seeing new homes coming on the market for sale, which draws down the inventory of available homes. If this continues, this means we’re in for a very stable, predictable real estate market. All told, we’re very fortunate to find ourselves in these market circumstances—they don’t come very often. As a final note: Thank you so much for helping us get the most referrals we’ve ever had this past quarter. We could not have done it without your help and support. If you need any assistance or have any questions about your real estate goals, feel free to reach out to us. We’re here to help. Are We Seeing a More Mutually Beneficial Market Take Shape? 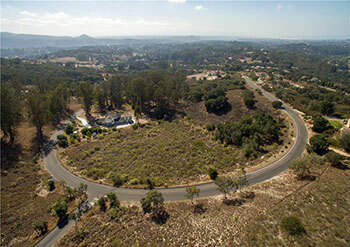 What’s the latest news from our San Luis Obispo real estate market? To answer that question, we’ll take a look at what kind of activity we’re seeing day to day and what the latest numbers show from last month. That last figure is good news, because if that number isn’t increasing, it helps to stabilize prices. With interest rates dropping somewhat, and mortgage rates following suit, there are more buyers out purchasing homes. At this time last year, home sellers could’ve expected to get multiple offers, and although that’s not the case now, the offers they do get will be closer to their asking price. If rates stay low like this, it will create a perfect storm for buyers and sellers. I don’t think I’ve ever seen a better, more balanced market for buyers and sellers than what I’m seeing now. If you’d like to talk more about our current market and what you can do to take advantage of it, don’t hesitate to give me a call. I’d love to help you. We’ve just finished the first month of 2019. 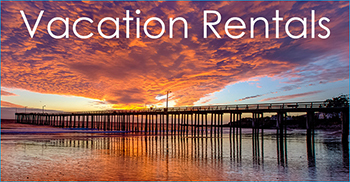 Today I have some interesting information to share with you about the San Luis Obispo real estate market, as well as an update on interest rates and a tip about contingent offers. As for our market stats at the end of January, inventory is up by 13% from where it was last year. At the same time, closed sales are down about 23% from last year. We’re getting more activity and the market seems to have some energy, but pending home sales are also down about 33%. We’ve been talking about this shift for a while and we’re finally seeing it. One of the reasons that I think the market is still so healthy and active is because of interest rates. 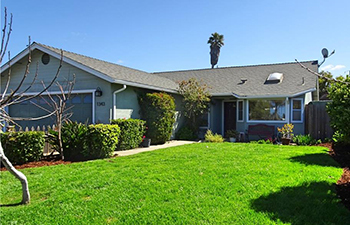 A client who just went into escrow is getting a conventional loan for a 30-year fixed mortgage for 4.375%. That’s the best rate I’ve seen in five or six months, if not longer. When I talked to the lender, I found out that you can get an FHA loan for 3.75% for 30 years. When most sellers hear the words “contingent offer,” they’re hesitant. However, in this market, offers like this are more valuable. You’re trying to sell your house and buyers have choices. If your home is on the market for sale and you receive a contingent offer from a buyer who already has their home in escrow, this means they’re motivated to find a home and much less likely to back out. Take a serious look at contingent offers like this. Based on all the information we’re seeing, buyers and sellers can take advantage of this window in the market. We’re not sure how long it will last. If you have any questions for me in the meantime, don’t hesitate to give me a call or send me an email. I look forward to hearing from you soon. As we begin the new year, I wanted to bring you an update on exactly what’s happening in the real estate world. First, what’s going on in the general market? As we look back at December of 2018, it occurs to us that our inventory increased about 10%, which is a familiar point to us. Our sales were down 25% from the year before. In December 2017, we had 219 closed escrows, where in December 2018, we had 164—just for fun, we looked back on that figure for 2016, where we had 270 closings, meaning that there was a 40% decrease over the next two years. Additionally, there were 630 active listings when we closed out 2018. This all seems to indicate that the market is stabilizing. Next, how do new listings compare to new pending sales? If we have a lot more pending sales than we have new listings, that means our listing inventory will go down. If we have fewer pendings than new listings, that means our inventory will probably rise. 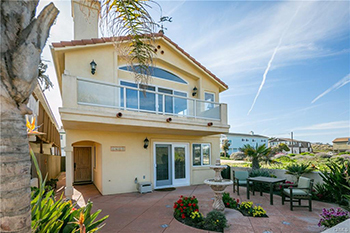 As I glanced across the board for Los Osos, I saw that we had four new pendings and 11 new listings, meaning that we’ll likely have more inventory there. 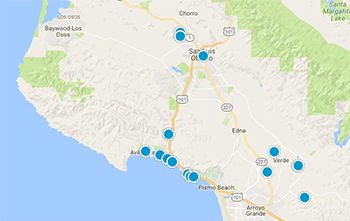 In Pismo, there were six new pendings and 13 listings, indicating a likely increase in inventory there, as well. The same is true of Atascadero, where there were 12 new pendings and 33 new listings. For those who have been wondering and complaining about a lack of inventory over the past few years, guess what? We’re going to have more options to choose from in our market. Lastly, what do expired listings look like? Expired listings refer to those who have cancelled, withdrawn, or had their contracts expire and are no longer on the market for whatever reason. In December of 2018, we had 237 expired listings. One year previously, we had 93. That means that 73% more people took their homes off the market in December 2018 than in 2017. However, when we measured the active inventory for that period, it still came out to be 10% higher, despite the number of homes removed from the market. So what is this all telling us? Well, if you’re a seller, you’ve got to be ready. Price your home competitively and do everything you need to with regards to preparing your home for the market. For buyers, you’ll have more opportunities to get more house for your dollar. All in all, this shift in the market is completely normal; we’ve been through situations like these before. If you have any questions about these market changes and how they affect you, feel free to reach out to us. 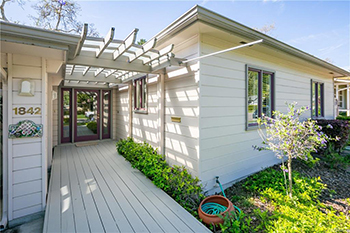 Just listed in Atascadero. 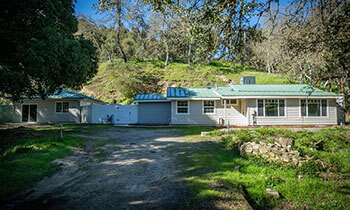 A charming single level 3 bedroom, 2 bath home situated on over a quarter of an acre. 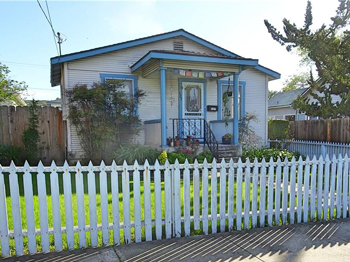 Featuring hardwood flooring, vaulted ceilings, newer carpet, windows and paint. Well maintained with a tranquil park like setting featuring multiple patio areas, a water feature, spa and professional landscaping. 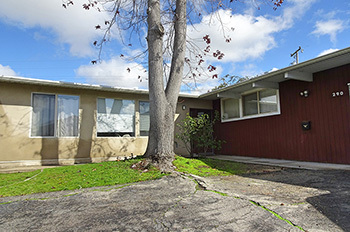 Located close to downtown Atascadero. $484,900. As the year wraps up, we’d like to first thank you for all of your continued support. Our business would be impossible without all your help, and we are so very grateful to all of you. 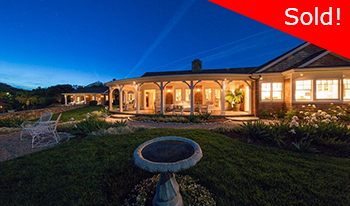 Secondly, we’ll share a quick update on the latest statistics from the San Luis Obispo real estate market. As has been the case for the last several months, we saw an increase in inventory this November, as well as a little bit of a reduction in sales. Specifically, inventory has risen by 15% year over year, while closed sales were down by a little over 15% during that same period. At the end of the day, there is still plenty of opportunity in our real estate market. Good buyers and sellers are still out there, just perhaps not in as great a volume as before. So what does this mean if you’re looking to buy or sell? Ultimately, you should proceed as you would any other time. If you’re a buyer, one of the first steps you should take before beginning your home search is to partner with a strong local lender. 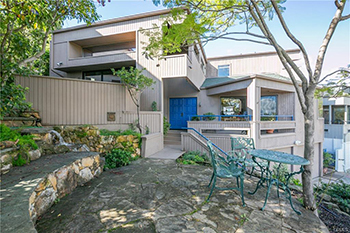 You may know someone who offers this service but lives outside of our area, but the truth is that only professionals who live and work in the San Luis Obispo market will know how to get you the best possible deal. The same logic applies to real estate agents. Our team would be happy to serve you or put you in touch with professionals who can do so in your specific area. The final thing we would like to share with you today is the fact that conforming loan limits are set to change on January 1, 2019, at which point the limit will be $484,300. Last year, those with the most favorable rates enjoyed a limit of $417,000. As you can see, this means that the coming change is going to be quite a jump from where we are right now. Following the change, those interested in borrowing or refinancing will be able to secure a little more money for a slightly lower cost. If you have any other questions or would like more information about anything we discussed today, feel free to give us a call or send us an email. We look forward to hearing from you soon. 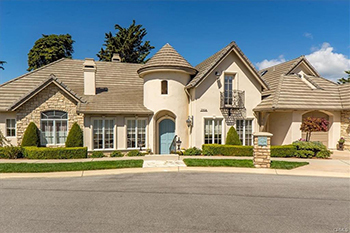 What Should You Know About Our November Real Estate Market? It’s time for another exciting real estate market update. Today I’m going to recap what we saw in October, compare it to what we’ve seen in the past, and talk about the upcoming holiday real estate market. This past October, we saw about a 10% increase in the number of homes for sale from what we saw last year, as well as a 12% drop in sales. On a day-to-day basis, we are actually finding that the buyers and sellers that we’re seeing in this market are more serious than they usually are at other times of year. The people who have been testing the market have taken their homes off of it and we’re seeing a pretty normal market right now. 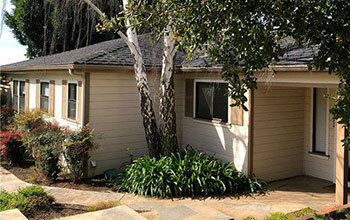 When we look back to 2010 in San Luis Obispo, we had 241 active listings. Right now, we have just 93. As for the average sale price, it was in the low 500,000 range eight years ago and it’s up to nearly 800,000 today. 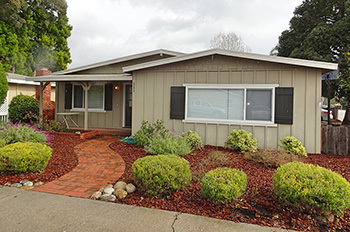 In Morro Bay, we currently have 39 active listings. We had 140 in October 2010. It’s fascinating to see how far we’ve come. People like to jump to conclusions about today’s market, but the truth is that we’re doing just fine. Finally, I want to talk about the holiday real estate market. We have found that our buyers in this market have a better chance at looking at homes where the sellers are motivated. There is more activity in the spring market, but the buyers and sellers in the market now are generally more motivated to get a fair deal done. So, is the market good? As far as I’m concerned, it’s always good here in San Luis Obispo. If you have any specific questions about the market or about real estate in general, don’t hesitate to give me a call or send me an email. I look forward to hearing from you soon. PLEASE NOTE THE MOVIE EVENT IS NOW SOLD OUT! In addition to the market update we’ll be sharing with you today, we would also like to take a moment to thank you all for your continued support. Your business, reviews, and referrals mean a lot to us. With that in mind, it’s time once again for our annual movie event. This event is just one of the ways we hope to show you our appreciation. So mark your calendar for Saturday, November 10 at 9 a.m. and come join our team for a special, private viewing of The Grinch. Moving on, we would also like to take a quick moment to review some developments in our real estate market. First, inventory has gone up. The number of listings that came to our market this September showed a 12% increase year over year. Meanwhile, the average number of days on market is also on the rise. Beyond homes taking longer to sell, though, we have also observed a 13% drop in the number of sales between this September and the last. So, what do all of these conditions mean? In my opinion, buyers and sellers in the San Luis Obispo area should expect continued strength and activity from our market. Between our low crime rates, beautiful scenery, and great local economy, there’s no other market I’d rather work in. If you have any other questions, would like more information, or are interested in how you can take advantage of our amazing market, feel free to give my team or me a call or send us an email. We look forward to hearing from you soon. 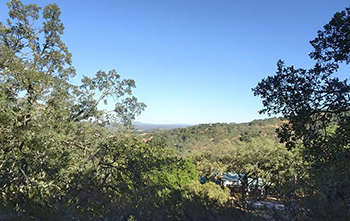 Nestled within the hills and surrounded by oak trees, this nearly 8 acre parcel provides the ideal backdrop for your dream home. The lot is situated at the end of the cul-de-sac and continues on a private, shared road offering a peaceful and private setting. 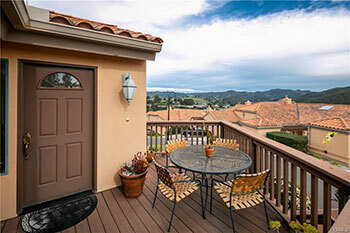 Imagine sitting on your newly constructed deck overlooking the hills, enjoying fabulous sunsets and nature at your door. 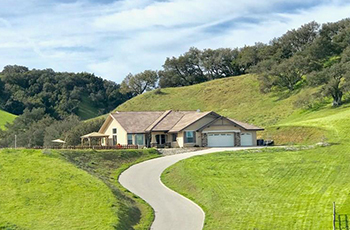 Just minutes to downtown Atascadero with shopping, restaurants and entertainment, a short commute to San Luis Obispo and Paso Robles with award winning wineries. The numbers for August are in, and they suggest that the market has, in fact, shifted. 1. Our inventory has increased. Inventory increased by 22% year over year, which means if you’re selling your property and want to take advantage of the market, you’ve got to be in the top position in terms of price and condition. For buyers, it means you have more choices and less competition than you would have had just months ago. 2. The days on market is higher. This means that homes on the market are taking a little bit longer to sell. 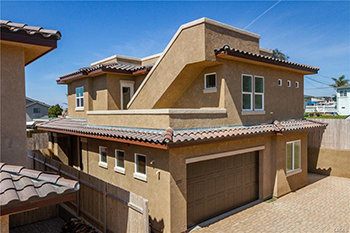 For example, in San Luis Obispo, we’re now up to 53 days on the market, where it was 38 days this time last year. This might have been a problem earlier in the year, but we understand that now that we’re approaching fall, it could take a little longer. 3. Prices are softening. In our service area just one year ago, we saw 163 price reductions. In just August of 2018, we’ve had 497—that’s more than three times what saw in 2017. To be 100% clear, this is simply a normalization of the market, in which buyers have more time to make decisions and sellers are becoming more flexible. In my professional opinion, it’s more balanced and sustainable now. If you have any questions, feel free to reach out to us anytime. We’d be glad to help.